There's no such thing as getting the word out too early about your projects. 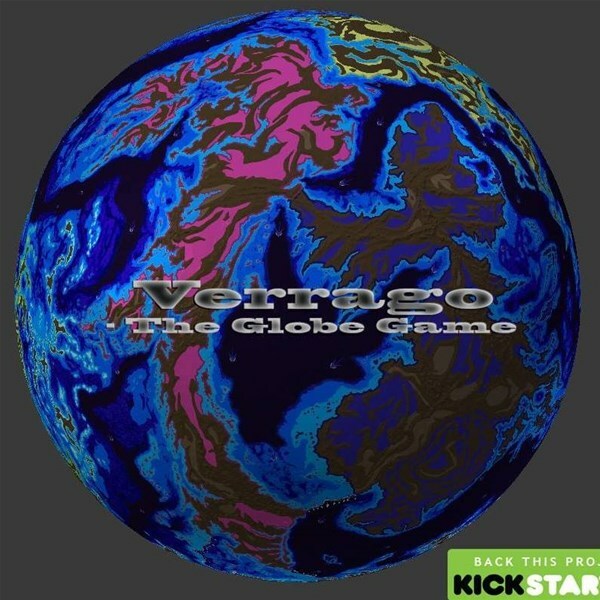 And that's why Veridian Worldcrafters are letting you know that, next August, they'll be bringing their Verrago - The Globe Game to Kickstarter. Verrago - The Globe Game is a 2-10 player legacy 4x strategy game where you play as a powerful family trying to take over the world. You try to concentrate resources and power into your territories, strategy and investments at the expense of your opponents, who are doing the same thing. You concentrate power to survive the impending apocalypse. Whatever survives you keep, to play in the next age of the world. This is the world's first magnetic globe game, as confirmed by 2 manufacturers on 2 different continents. Play time is being designed for 1-2 hours. 1200 unique cards focused on maximizing fun and replayability, the amount of cards representing the amount of options you have as a player and not the complexity of the game itself. Seth Heinichen has put 15 years of slow build development into this project; reasearching and developing an entirely unique IP from scratch. Many aspects of the game, especially expoloration, have beefy thick cuts of player experience that you just won't find in most other games. Verrago - The Globe Game is also a fully fleshed out setting for any tabletop RPG's that you enjoy. Play a 1-2 hour session of this game before a day long pen and paper RPG (Dungeons and Dragons, Pathfinder, Fate Core, etc.) to create a complex geopolitical environment that you all co-create together (saving massive amounts of a Game Master's time) that you can then play your campaign inside of this world you've all made together. Choose your adventurers to be from the kingdom you played so hard for on the globe. This allows for many more roleplaying options. You could play as an already established lord trying to run an empire, something that few games structurally allow you to start playing. So Verrago - The Globe Game is both a tabletop game and a campaign setting, yet there is more still. This game also has an in depth magic system that permeates the entire player experience. For example, the rune cards have 105 runes that act as complex points of convergence that start game events, each of the 5 elements having it's own runic language that your Game Masters' could use in your campaigns. Culture cards have exhaustively researched to simulate many completely new cultures. The game is designed for the long term for additions to the game that don't require a person to purchase a new globe. Modules have been tentatively designed to shift game play in different ways to make the game a full Co-Op game.